15 minute "Land That I Love" Birthday Banner Project! - Pebbles, Inc.
15 minute “Land That I Love” Birthday Banner Project! Hello Pebbles Friends! 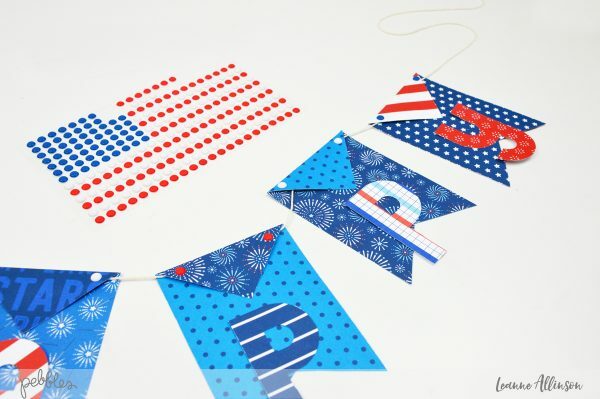 It’s Leanne here today sharing an easy birthday banner project that you can adapt for any celebration! And even better, this super cute, 15 minute project will make any birthday boy or girl smile at the effort you’ve gone to. Let’s get started by gathering your supplies. I’ve chosen to use the Land That I Love collection. With its bold and bright primary colours, it is a perfect choice to help celebrate my youngest child’s 9th birthday today. 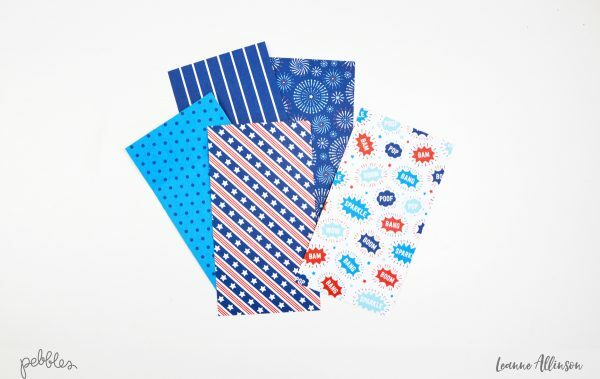 Choose your favourite patterned papers and the mini alphabet punch board by We R Memory Keepers. step 1. 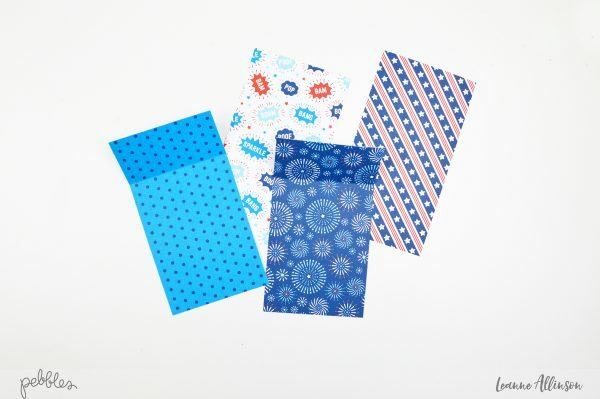 Trim the patterned paper to size – 5.5″x3″. 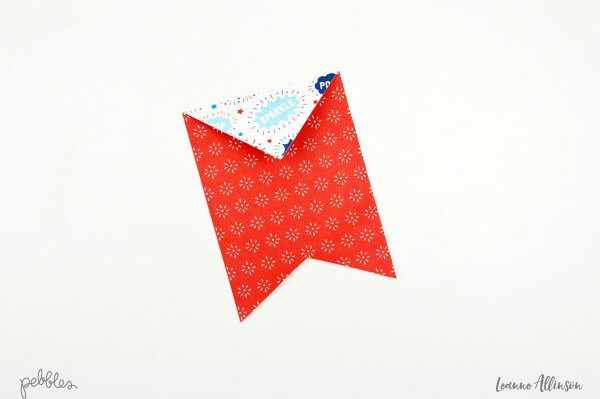 Cut enough pieces to be able to display each letter in your sentiment – “HAPPY BIRTHDAY”. step 2. 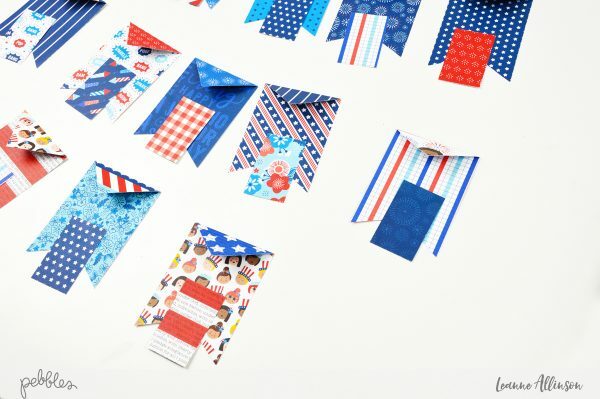 Score a fold line at the top of the paper piece, 1.5″ down or at 4″ from the bottom. step 3. Mark the center at the top of the paper piece with a pencil and trim an angle from this point to the fold line. Repeat on the other side. step 4. Trim a small notch from the bottom of each paper piece and fold over the top. 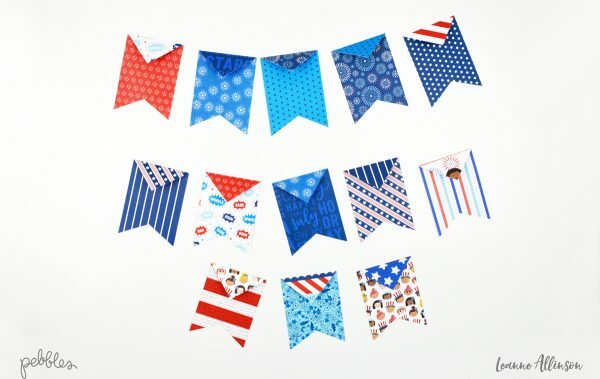 Once you have all the birthday banner paper pieces, lay them out and arrange next to each other to prevent any pattern clashes or doubles. We R Memory Keepers Mini Alphabet Punch Board..
step 5. 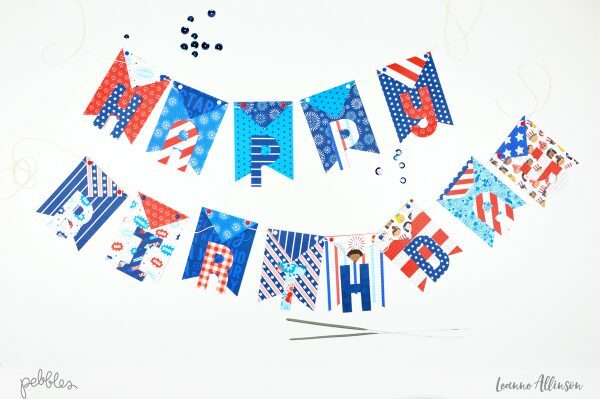 To create the sentiment for your 15 minute birthday banner, trim off-cut pieces of patterned paper to size – 1.5″x2.5″. 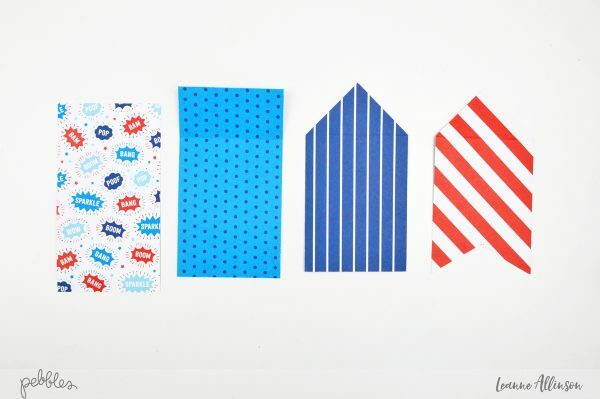 Coordinate each piece with one of the banner parts. step 6. Following the instructions from the punchboard manual, create the alphas for the birthday banner. step 7. Adhere the alphas to the banner paper pieces and measure a length of twine or string to sit under the fold. Once you are happy with the placement, add a small amount of adhesive to the point of the fold over and secure. step 8. 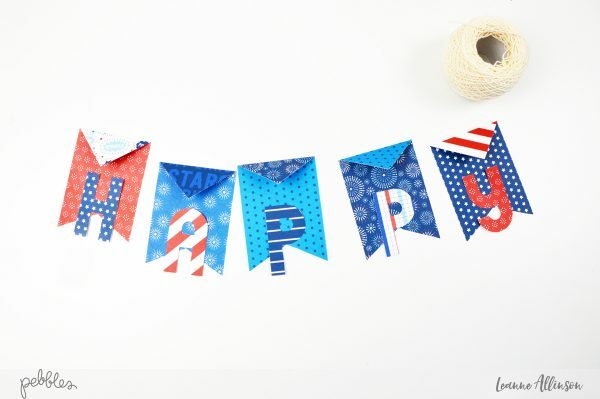 For simple embellishment, add two puffy dot stickers to the top of each corner to complete your birthday banner.